"But I'm kind of comfortable with getting older because it's better than the other option, which is being dead. 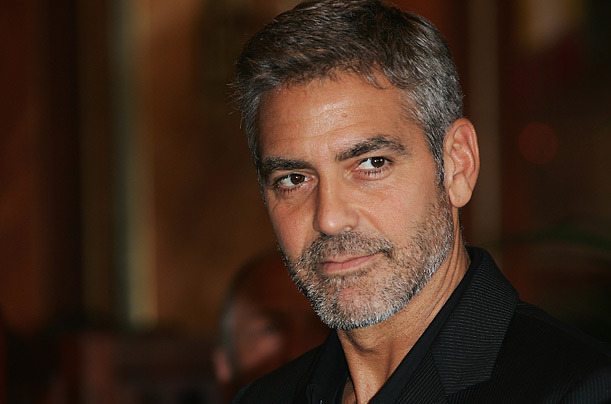 So I'll take getting older"
George Timothy Clooney (born May 6, 1961) is an American actor, film director, producer, and screenwriter. For his work as an actor, he has received three Golden Globe Awards and an Academy Award. Clooney is also noted for his political activism, and has served as one of the United Nations Messengers of Peace since January 31, 2008. Though he made his acting debut on television in 1978, Clooney gained fame and recognition by portraying Dr. Douglas "Doug" Ross on the long-running medical drama ER from 1994 to 1999. While working on ER, he started attracting a variety of leading roles in films including Batman & Robin (1997) and Out of Sight (1998), in which he first teamed with long-term collaborator Steven Soderbergh. 1999 saw the release of Three Kings, a well-received war satire set during the Gulf War featuring Clooney in another lead role. In 2001, Clooney's fame widened with the release of his biggest commercial success, Ocean's Eleven, the first of a profitable film trilogy, a remake of the film from 1960 with the members of The Rat Pack with Frank Sinatra as Danny Ocean. He made his directorial debut a year later with the 2002 biographical thriller Confessions of a Dangerous Mind, and has since directed Good Night, and Good Luck (2005), Leatherheads (2008), and The Ides of March (2011). He won an Academy Award for Best Supporting Actor for his work in the Middle East thriller Syriana (2005) and subsequently fetched Best Actor nominations for such films as Michael Clayton (2007), Up in the Air (2009) and The Descendants (2011). Clooney's humanitarian work includes his advocacy of finding a resolution for the Darfur conflict, raising funds for the 2010 Haiti earthquake, 2004 Tsunami, and 9/11 victims, and creating documentaries such as Sand and Sorrow to raise awareness about international crises. He is also a member of the Council on Foreign Relations.